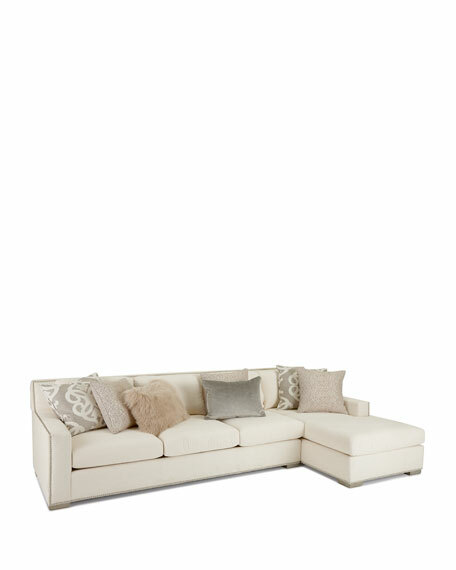 Handcrafted sectional; chaise on right, sofa on left as you face the sectional. Suspended coil-spring system; mortise-and-tenon frame construction for lasting durability. Chaise, 36"W x 74"L x 37"T; seat, 29"W x 54"L x 19"T; arms, 25"T. Sofa, 94"W x 48"D x 37"T; seat, 87"W x 28"D x 19"T; arms, 25"T.